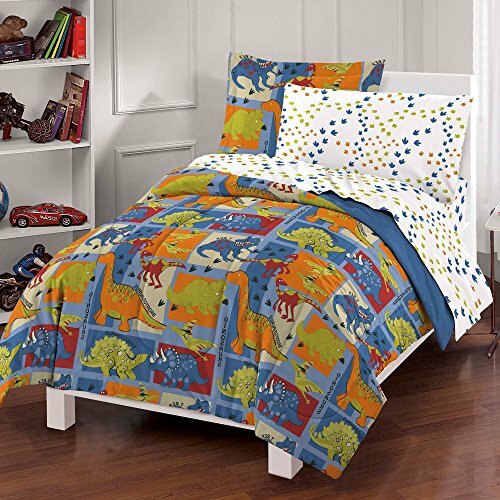 This multicolored and patterned style bedding features cute dinosaurs prints all over with educational species names with them. The comforter is heavy enough for winter months while still light enough for summer days. Twin Set includes: One comforter, one sham, one flat sheet, one fitted sheet, one pillowcases.